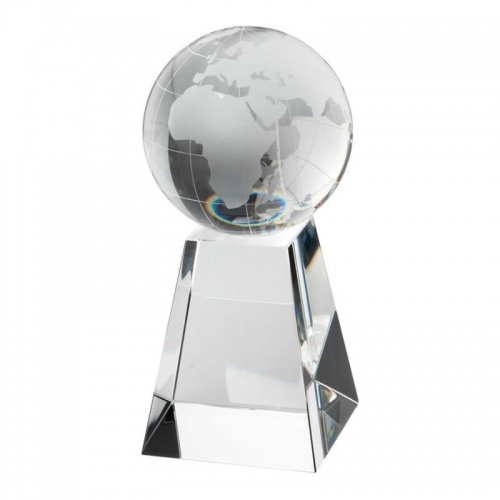 Premium quality glass award featuring 3D globe set on tapered clear glass stand. Stands 8in / 200mm tall, supplied presentation boxed. Can be engraved on the front of the tapered base.